Several months back, I landed upon an idea that has become part of my latest Austen-inspired book. You see, there is this whole faction of people/experts who believe that Francis Bacon and others within Bacon’s circle wrote Shakespeare’s plays. And guess what? Francis Bacon’s home is in the St Albans area of Hertfordshire. Old Gorhambury House [see image above] is an Elizabethan mansion, which now lies in ruins. It is an example of what was called an Elizabethan prodigy house, a term for large and showy English Tudor and Jacobean houses built by courtiers and other wealthy families. In the case of Old Gorhambury House, it was built by Sir Nicholas Bacon, Lord Keeper of the Great Seal of England. It is said that Elizabeth I visited the home upon multiple occasions. 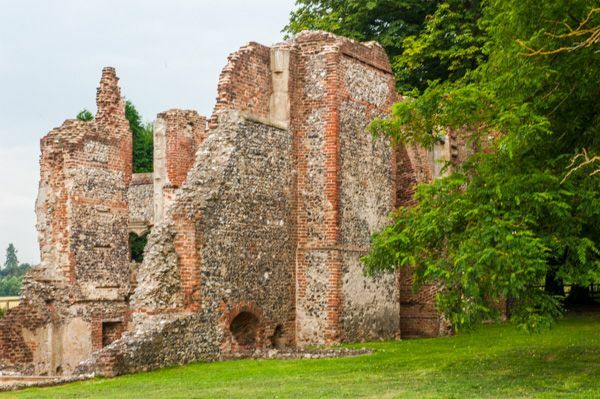 The house was built from the bricks of St Albans Cathedral, which had been demolished a quarter century earlier. Sir Francis Bacon lived there for many years before Bacon bequeath it to his secretary, Sir Thomas Meautys, who married Anne Bacon, the great-granddaughter of Sir Nicholas. 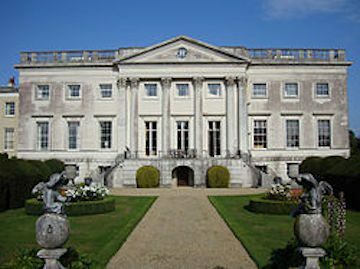 Between the years 1777 and 1784, James Bucknall Grimston, 3rd Viscount Grimston commissioned the notable architect, Sir Robert Taylor, to build a new Gorhambury House, this one in the Palladian-style. The Grimston family came in possession of the estate when Anne Bacon Meautys remarried after her husband passed. She then married Sir Harbottle Grimston, Master of the Rolls and Speaker in the Convention Parliament in 1660. In my latest Austen-inspired title, Pride and Prejudice and a Shakespearean Scholar, Mr. Bennet is a renown Shakespearean academic, a man of whom Darcy and Bingley know only from their years at Cambridge. What they do not know of Mr. Bennet helps to drive the story. But what of those Shakespearean plays? Is there any chance William Shakespeare is not the author? In Contested Will: Who Wrote Shakespeare by James Shapirio, the author tells us of several “conspiracy theories” regarding the authorship of Shakespeare’s plays. 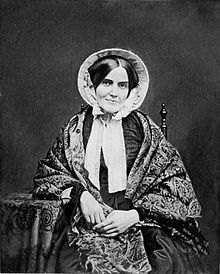 One involved Miss Delia Bacon, an American playwright, whose best known work was The Philosophy of the Plays of Shakespeare Unfolded, in which she attributes the plays to social reformers such as Francis Bacon and Sir Walter Raleigh. She speaks of Bacon, Raleigh, Lord Buckhurst, Edmund Spenser, the Earl of Oxford, and others as being disappointed and defeated politicians, who collaborated and used drama (an art form coming into itself during the Elizabethan period and one enjoyed by both the wealthy and the common man) to oppose the “despotism” of Queen Elizabeth and King James. For example, there are many who think that Shakespeare’s Macbeth comments on the 1605 Gunpowder Plot. Shakespeare’s Globe tells us, “Shakespeare’s ‘Scottish Play’ was probably written in 1606, just three years after James I was crowned as Elizabeth’s successor, and so undoubtedly seems to be paying homage to the succession of the Scottish King to the English throne. But within that time, in November 1605, the Gunpowder Plot had been discovered: the plan to blow up the Houses of Parliament, kill James and replace him with a Catholic monarch failed and the plotters were tortured and horribly executed. The impact of the event was so dramatic that we still remember it today on Bonfire Night, so we can only imagine the enormity of the event for Shakespeare and his contemporaries. “Why are the Gunpowder plot and Macbeth connected? Okay. Does that not play with all we hold most dear in English literature? Obviously, I do not have Darcy and Elizabeth back in the 1600s, but what I do have is a “puppet master,” of sorts in Mr. Bennet, who encourages Darcy to “tame” Elizabeth much as does Petruchio with Katherina in Shakespeare’s Taming of the Shrew. However, what if neither Darcy nor Elizabeth wish to be a part of such a farce? Within the story, you will find other examples from Shakespeare’s works, and I do acknowledge the Bacon theory when Darcy, Elizabeth, Mr. Bennet, Jane and Bingley visit the old ruins and tour Gorhambury House, much as Elizabeth and the Gardiners did at Pemberley in Austen’s original tale. Unless one knows the value of loyalty, he cannot appreciate the cost of betrayal. What if Darcy and Elizabeth met weeks before the Meryton assembly? What if there is no barely “tolerable” remark to have Elizabeth rejecting Mr. Darcy’s affections, but rather a dip in a cold creek that sets her against him? What if Mr. Bennet is a renown Shakespearean scholar who encourages Darcy to act the role of Petruchio from Shakespeare’s “The Taming of the Shrew” to bring Elizabeth’s Katherina persona to the line. ELIZABETH BENNET’s pride has her learning a difficult lesson: Loyalty is hard to find, and trust is easy to lose. Even after they share a passionate kiss outside the Meryton assembly hall and are forced to marry, Elizabeth cannot forget the indignity she experienced at the hands of Fitzwilliam Darcy. Although she despises his high-handedness, Elizabeth appreciates the protection he provides her in their marriage. But can she set her prejudice aside long enough to know a great love? FITZWILLIAM DARCY places only two demands on his new wife: her loyalty and her trust, but when she invites his worst enemy to Darcy House, he has no choice but to turn her out. Trusting her had been his decision, but proving his choice the right one before she destroys two hearts meant to be together must be hers, and Darcy is not certain Elizabeth is up to the task. He brushed the dirt and water droplets from his hat as he privately enjoyed the sway of her hips as she marched angrily across the field. Those hips were made more enticing by the damp muslin clinging to her skin and undergarments. He chuckled. She was a real virago. As he turned, he noticed something dark lying in the long grass and bent to retrieve it. It was the book in which the woman had been writing when he approached her. He had meant simply to inquire of Netherfield’s location, but when he had looked down upon the enticing globes of her breasts peeking from the neckline of her day dress, something primal had caught his good sense and had emphatically announced: Mine. He glanced in the direction of her retreating form, momentarily considering whether to chase after her to return the book in his hand, but he thought it likely she would throttle him if he acted, even if he did so in good conscience. Moreover, she had set herself a good clip, especially for one walking without boots. She was nearing the far side of the field. Mama has no idea that I prefer Juliet’s words when she speaks of the necessity of our marrying before Papa passes to the prescribed sensibility of society on the matter. With reeky shanks and yellow chapless skulls. And I will do it without fear or doubt. To live an unstained wife to my sweet love. Reluctantly, Darcy placed the journal in the pocket of his greatcoat. He would return the book when the opportunity arrived. “To think all I wished was to ask directions to Netherfield.” With a shrug of resignation, he set out the way he had come. This time he would pay more attention to locating the marker leading him to Netherfield. When she was certain the man had not followed her, Elizabeth had sat upon the opposing stile from the one she had foolishly crossed earlier to don her stockings, garters, and boots. Mrs. Hill would have something to say about the moss stains on both her gown and her smock, but there was nothing for it. Surprisingly, tears stung her eyes. She had never encountered such an overbearing man, but she had to admit, if only to herself, she had enjoyed the heat and the strength of his body as he held her in his arms. For just a moment, she felt protected and foolishly a bit cherished. “Even so,” she announced to the birds above her in the trees lining the field, “I wish the cad the fate of Prometheus. A vulture forever nibbling upon his liver. Or perchance his cold heart instead.” With a satisfied nod of her head, she shook out her skirts to loosen them from her legs and then said a prayer that she could sneak into Longbourn without her mother’s notice. However, God meant to vex her day, for although she managed to cross the kitchen and mount the servants’ stairs without anyone’s notice, when she reached the entrance hall, the sound of female voices filled the front drawing room. On silent feet, she tiptoed along the carpet, wordlessly asking the Fates to permit her invisibility. “Lizzy!” her mother bellowed when the floor board popped from her weight pressing down upon it, and everyone in the room looked up to see her standing awkwardly in place outside the open room door. Biting back a curse no lady should utter, Elizabeth straightened her shoulders to face those within the room. “Good morning, Lady Lucas. Charlotte. I did not realize you meant to call upon us today.” She remained a step outside the room’s entrance, where the shadows might mask the condition of her clothing. “Do you wish tea?” Jane asked kindly. Elizabeth sighed in resignation and stepped forward where they all might view the condition of her dress. “I fear I have taken a tumble,” she said with a hard swallow. Charlotte Lucas’s dark head turned away so her friend might smother her laughter in her serviette. Meanwhile, the rest of the room gasped upon viewing her smudged and wet appearance. “Elizabeth Ruth Elaine Bennet!” her mother shrieked. “What am I to do with you?” Mrs. Bennet threw her head back in despair, her mother’s mobcap draping to one side. “No, I shall do it,” Charlotte corrected. She shot a glance to Mrs. Bennet. “It might be best if you see to your mother. I would dislike seeing her suffer from a fit of her nerves.” Mrs. Bennet had retrieved her handkerchief from her sleeve and was waving it about in agitation. “Are you certain?” Jane asked. Elizabeth quietly departed, although the sound of her mother’s “It did me little good to forbid her to go out. Lizzy never listens to me.” followed her down the hall. Without a glance backwards, Elizabeth turned to her father’s study. She required someone of sense to vet out the truth of her encounter with the stranger. “I imagine this was against Mrs. Bennet’s orders,” he surmised. Immediately Elizabeth experienced guilt. Although he did not yell and fuss over her deception, her father’s simple statement told Elizabeth that he did not approve of his daughter’s acting behind Mrs. Bennet’s back. “What strange gentleman?” he asked with a lift of his brows. “Certainly he treated me in an ill manner,” she declared. She bristled, “Reasonably fair of countenance.” The unguarded admission shocked her. “How did he come in possession of your hand?” Mr. Bennet ran his palm across his features to smooth his expression. Elizabeth again dropped her eyes in shame, for she knew her father would not approve. “I had removed my half boots and stockings before he arrived. I was writing in my diary. But after the stranger kissed my hand without permission…” her voice rose in consternation. “I thought we established that you offered the gentleman your permission by presenting him your hand,” he argued. “Then you will do nothing to defend my honor?” she charged. “But the man set me in the water when I demanded that he place me down,” she protested. Her arguments were having little effect upon her father, for he disguised a laugh behind his hands as he pretended to cough. NOW, FOR THE GIVEAWAY!! I have two eBook copies of Pride and Prejudice and a Shakespearean Scholar available. [Note! This book does not come out until December 15, 2017. The prize will not be delivered then.] The giveaway closes at midnight EST on Thursday, December 7. Other Stops on My Blog Tour (I have purposely made this tour a short one, for on December 19, I will have my second eye surgery. Note! I will host a sale of some thirty of my eBook titles, both Austen and Regency, beginning on December 22 and continuing through January 5, 2018. Christmas at Pemberley: A Pride and Prejudice Holiday Sequel. To bring a renewed sense joy to his wife’s countenance, Fitzwilliam Darcy secretly invites the Bennets and the Bingleys to spend the Christmastide festive days at Pemberley. But as he and Elizabeth journey to their estate to join the gathered families, a snowstorm blankets the English countryside. The Darcys find themselves stranded at a small out-of-the-way inn with another couple preparing for the immediate delivery of their first child, while Pemberley is inundated with friends and relations seeking shelter from the storm. Without her brother’s strong presence, Georgiana Darcy desperately attempts to manage the chaos surrounding the arrival of six invited guests and eleven unscheduled visitors. But bitter feuds, old jealousies, and intimate secrets quickly rise to the surface. Has Lady Catherine returned to Pemberley for forgiveness or revenge? Will the manipulative Caroline Bingley find a soul mate? Shall Kitty Bennet and Georgiana Darcy know happiness? Written in Regency style and including Austen’s romantic entanglements and sardonic humor, Christmas at Pemberley places Jane Austen’s most beloved characters in an exciting yuletide story that speaks to the love, the family spirit, and the generosity that remain as the heart of Christmas. One Minute Past Christmas is the story of a Greenbrier County, West Virginia, family in which a grandfather and his granddaughter share a special ability — they call it a gift — that enables them to briefly witness each year a miraculous gathering in the sky. What they see begins at precisely one minute past Christmas and fills them with as much relief as it does wonder. But they worry that the “gift” — which they cannot reveal to anyone else — will die with them because it has been passed to no other relative for forty-four years. I can easily imagine Mr. Bennett as a Shakespearean scholar. The excerpt was very enjoyable. I can’t wait for the book to be released! Thank you for the giveaway. Also, get well wishes from your eye surgery. My mother had both eyes done too, and didn’t need her glasses any more. Thanks for joining me, Mary. As for my surgery, I will still require reading glasses. With the previous damage to my left eye, I can only use the basic intraocular lens. This is an awesome cover, Regina. My favourite colour is pink and it is lovely to look at. Did you hire someone to design the cover for you? The excerpt is quite tempting and I would love to read Chapter 1 later. Thanks for sharing it. I’m so sorry to hear that you need to go for an eye surgery. Is it cataract you are having? Hope it goes well and you are back to writing soon. I purchased the image from Victoria Cooper, one of favorite cover designers. As to my eye surgery, Sylvia, the first one was for cataract and repair of the left eye from a childhood injury. The one in December is purely for cataracts in the left eye. I am pleased the first surgery went so smoothly. My vision has greatly improved. Reading the excerpts is making me want to brush up on my Shakespeare. Might have to wait until summer time when I can read outside. Looking forward to reading the situations Lizzy and Darcy get themselves into, especially Lizzy. Do enjoy how Darcy acknowledges their connection before Lizzy does and how Lizzy fights against her destiny. The road to true love isn’t easy nor smooth sailing. Looking forward to this novel and seeing a little bit more of Mr. Bennett’s humor come through. Curious how he will be a puppet master and bring ODC together. Bubbling with excitement! In Shakespeare’s Taming of the Shrew, Katarina’s father Baptista is a bit bumbling, not knowing what to do with his daughter Katarina. I gave Bennet the impression of being too bookish to be a threat, but still having the power to manipulate Elizabeth, Darcy, Bingley, and Lydia. Sounds very intriguing! Good luck with the eye surgery. Thank you for the kind wishes, Cindie. My,my,my!! I think Mr Darcy has finally met his match! Not only has he met a lady quite unlike any other,but one that can quote the Bard,verbally tussle with him and return his volley with equal ferocity!! So looking forward to reading this! Best of luck with it,Regina,and with your eye surgery. I appreciate the kind words, Mary. Austen was very forward thinking in giving her main female character the traits she did when women were oppressed and gave Lizzy someone who appreciated her when such traits were frowned upon in women. Do you not think Elizabeth has our dear Jane’s personality? I always thought so. Love their encounter and HA! he put her back down in the water when she demanded that he release her. So fun! Looking forward to your new tale. She has accused him of not being a “gentleman.” What else would a true gentleman do, Jennifer, but to comply to her request? LOL! Funny that the first meeting of Darcy’s parents and D&E both involved the women getting wet. But in ODC’s case, I assume ‘never did the course of true love run smooth’. Thanks for the chance to win a copy. And may your eye surgery go perfectly. Poor Lizzy, poor Mr. Darcy and poor Mr. Bennet. Why do readers love it when D&E lock horns? I love nothing better than a good D&E knock-down-drag-out intellectual battle. When they start quoting Shakespeare in their sword play… that is when it gets good. Lawd! I can’t wait to read this. Blessings on the launch of this new book and much success. Hope all goes well with your surgery. Thanks Regina for the generous give-a-way and good luck to everyone in the drawing. No kidding… I forgot to tell you that I love that cover. Man… she is gorgeous and a perfect Lizzy. She was a great choice. When I saw the image, it reminded me of a scene in the book. Therefore, I scarfed it up. Think we like it because there weren’t many strong female characters for many years, and to have one stand up and defy society is liberating. Then Darcy has to poke the bear to see how far a strong willed female will go. Oh my goodness! She doth protest too much! I must say the angst factor is huge considering what the book description says! You completely amaze me with your talent for weaving such historical detail into your stories. Thank you and good luck on your tour as well as your eye surgery! I will gladly accept the blessings for my eye surgery. The left eye went very well, but I am predominantly right eyed. LOL! Angst is my favorite part of writing, Carole. I remember reading the first chapter a few months ago. I loved it and looked for it. I am glad to see it is close to publication. Congratulations! Actually, this one went faster than usual, except for the interruptions of eye surgery, etc. Is it terrible that I find it amusing that Darcy dropped her in water when she demanded to be put down. I love Taming of the Shrew and it sounds like this story is one I would enjoy as well. He did what she demanded that he do. Makes sense to me. Moreover, it makes for a perfect bit of humor. That was actually probably one of my favorite parts of that chapter. My jaw dropped at that in a “I can’t believe he did that” moment. Regina, this sounds like it’s right up my alley! My time travel book, The Time Duchess, also deals with the authorship of Shakespeare’s plays but focuses on Edward de Vere, 17th Earl of Oxford, instead of Francis Bacon. To me, it’s one of the most fascinating topics to explore. I’m going to enter the giveaway for your book! Thank you for this wonderful post. With Gorhambury House being in Hertfordshire, Francis Bacon’s supposed involvement in Shakespeare’s plays was the perfect combination, Georgina. I am glad the book tempted you. Thank you for sharing and for the giveaway! This sounds like an interesting idea for a book and I also liked the Christmas Book suggestions you added at the bottom. I promise in this one, there will be times you want to smack some sense into Elizabeth and other times you’ll feel the same way about Darcy. I look forward to seeing how you relate all of these convoluted scenarios! I’m a little wary about the part of the book blurb where it seems that Mr. Bennet wants FD to “tame” EB. I hope this really isn’t the case. I really hate the idea of any man “needing” to “tame” a woman! I promise Darcy rejects the idea. As you know I always enjoy the history as well as the story in your books. Looking forward to this one. Thank you for the compliment, Janis. Need to brush up on my Shakespeare. Just an overview will do, Courtney. See my summary above. Can’t wait for this.it sounds great. I love to mix things up, Christine. Oh dear! Such a beginning! You definitely have me intrigued! Looking forward to December 15! I knew I could count on you, Becky. You are always one of my first readers. You had me with my jaw actually dropped at the end of chapter 1 Regina so I was happy that this was an excerpt of chapter 2. I got to saw for that is I love how Mr. Bennet I so close to Elizabeth that he could piece out what happened without her telling everything. Bennet is the “Shakespearean Scholar” in the title. He is a bit of a puppet master in the story. Now if only Elizabeth had permitted Darcy to finish carrying her over the stream she wouldn’t have been wet, she wouldn’t have lost her journal and she wouldn’t have upset her mother. But then she wouldn’t have been Elizabeth Bennet I suppose. I look forward to the forced marriage and hope he forgives her for betraying his trust. Thank you so much for the giveaway and good luck with the eye surgery.